A fried chicken shop is unlikely to be able to stay open later in the evening because of a blanket ban on new takeaway and off-licence applications. 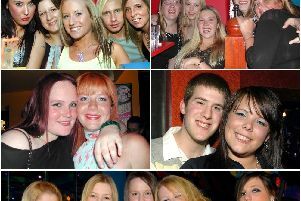 WFC, on Kirkgate, wants to extend its closing time from 11pm until midnight, seven days a week. But Wakefield Council and West Yorkshire Police have recommended the request be refused because of its city-centre location. A rule introduced in 2011 prevents the opening of any new takeaway or small shop selling alcohol in the city centre, because the council feels there are already enough. It says that for any more licences to be granted, there would have to be “exceptional circumstances” that show it would meet the criteria normally used to decide on applications. Thecouncil also believes an extension of WFC’s opening hours would attract more crime. Recommending the request be refused, Paul Dean from the council’s anti-social behaviour unit said: “The licensing authority believes that the whole of the city centre area has reached a point where any more premises or extension to hours would have an adverse impact on the licensing objectives. Councillors will decide whether or not to approve the licence at a meeting on Thursday.